I often find this harmony at the beach…in the motion of the waves, for instance, or in the architecture of one of the many bridges or in one of Oregon’s beautiful lighthouses. Finally, though, I settled on this walkway, outside Newport’s Visual Arts Center. Until I read Ben’s post, I didn’t realize that one reason this spot appeals to me is the effortless harmony between the lampposts and the walkway: they are part and parcel of it. 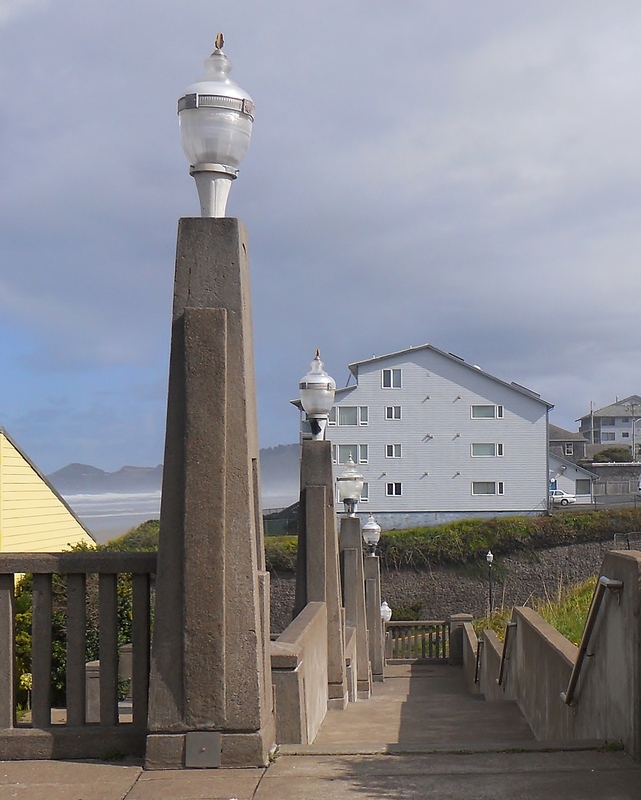 The rhythm, repetition, and scale of the lampposts, as well as the material from which they are made, fit in perfectly with their location near the ocean, with its own rhythm, repetition, and scale. I want to go back. Architecture, when done well, is extremely graceful. Good choice. That is true! And thanks.